Being able to volunteer means you’re capable of sharing your time, skills, or other resources to those who are in need of help. You’re fortunate to have extra time to spend beyond basic needs; you’re blessed to have honed a skill and leverage it for a social purpose; you’re lucky to have an excess of resources that others can briefly maximize. Some may seem to have more to share but it doesn’t mean they are entitled to privileges; in fact, committing to help also comes with a responsibility. There was a time when volunteering wasn’t accessible for all. Even to those who are ready. Which is why ten years ago, Bel Padlan and JB Tan founded iVolunteer Philippines. 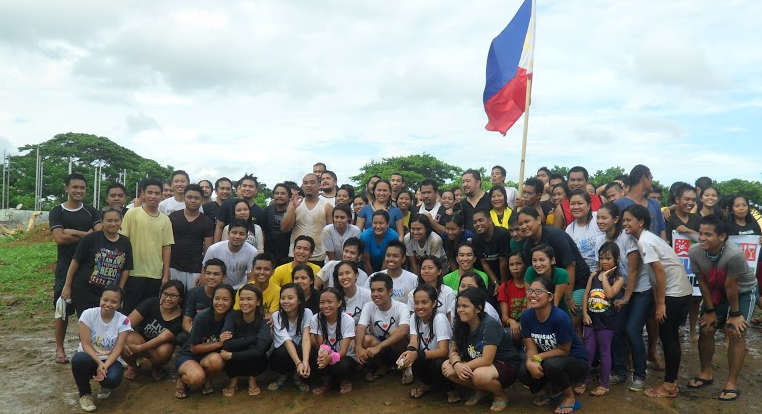 Since then, the organization has helped thousands of Filipino volunteers form a lasting bond with the communities and NGOs that also support their advocacy. Guests take their turns on one of the on-site mini-games (Photo by: Mjoy Sabellano). Entering its 10th year, it’s almost inevitable that iVolunteer would bring back The Go Volunteer Expo. After all, it’s the perfect event for our NGO partners and Filipinos from all walks of life to just meet each other and discover what it is that they have in common. One of the things that iVolunteer never takes for granted is the opportunity to meet some of the most hard-working and incredible Non-government Organizations (NGO) and volunteers in the country. We take pride in knowing their stories and with them being an important part of ours. Hence, as we celebrate our 10th year and move onto a new chapter, we’ve decided to go back to showcasing unique and captivating stories from our partners, staff, and volunteers. Stories that we hope would inspire you to be part of the iVolunteer journey today and for years to come. Go Volunteer made a successful return last weekend, an event that’s extremely close to one particular iVolunteer staff. There’s no denying that #GoVol2019 is the biggest event of its kind, but more than that, its initial run three years prior is where Joyce Armillo began her journey as a volunteer. Glorietta is one the busiest shopping centers in the metro, but every once in a while, it also becomes home to the biggest volunteering fair in the country. In 2016, the first Go Volunteer was held here and hosted nearly 20,000 thousand people from all walks of life. Among them, was Joyce, who decided to drop by at the event out of curiosity. Jasmine “Jas” Salem is one the faces you’d easily recognize if you’ve been through a couple of our events. Aside from being a senior member of the org, she’s also a great facilitator and a game volunteer in and out of the organization. Seeing how comfortable she is with her role; it’s a bit hard to imagine that she didn’t always have the strength to stand in front of a crowd and speak to them with confidence. As part of iVolunteer Philippines’ 10th year Anniversary, we’re excited to bring back Go! Volunteer Expo this 2019! With you and our partners, we believe that we can rally more Filipinos to come together and discover themselves through the act of volunteering. If you’ve been wanting to become a volunteer but don’t know where to start, join us this coming April 6 & 7 at the Glorietta Activity Center and take part in the country’s biggest matchmaking event for volunteers and NGOs!